Life is good when you have a small web project with limited and simple CSS but as your project size grows and more CSS is to be applied complexity increases. In there are two or more conflicting CSS rules that point to the same element then your web browser will apply some rules to figure out which rule should be given higher precedence and be applied. We term this rule weight as selectivity. More the selectivity more is the preference given to that rule. What do you expect will be the color of the button on page load and on click ? Well think a bit and then try it out. Paste above html in a file and open it in any browser. Observer the color, click on the button and then observer the color again. Have questions? Will be answered soon. Lets take a step back and review our html code. We have a button. For this button we provided a class called redbutton (which should make the button red) and then on click we are dynamically changing the class to bluebutton (which should make the button blue). But none of these worked. It is still green. 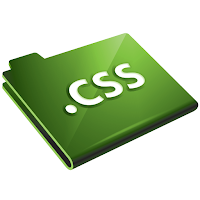 As you must have guessed correctly by now there is another css rule that is getting applied. But why? Because CSS specificity of this rule is more than other class rules that we have defined. Next natural question - How is css specificity determined by the browser? How is CSS specificity calculated? There are some basic rules to determine specificity of a CSS rule. And if you have multiple such selectors in an CSS rule then their individual specificity just get added to form rule specificity that is used by the browser to determine precedence. and so on.... Hope you got the point. Note : If two conflicting rules have same selectivity then the one applied or parsed later is picked up. So lets apply it to our rules. So how can we leverage this information now? Lets increase the specificity of first two color rules now. With above rules now test our page again. That's all with CSS selectivity. Ideal scenario is when no two rules conflict but in my personal experience conflicting rules are bound to happen for a big web project. This is when this rules come handle. Let me know if you still have any questions :).